Second Annual Harlem EatUp! Festival - Get your tickets! NEW YORK -- The second annual Harlem EatUp! Festival is coming soon! Set for May 19 - 22, 2016, the event is featured at various Harlem locations including two days at Morningside Park. Tickets are on sale at www.HarlemEatUp.com. 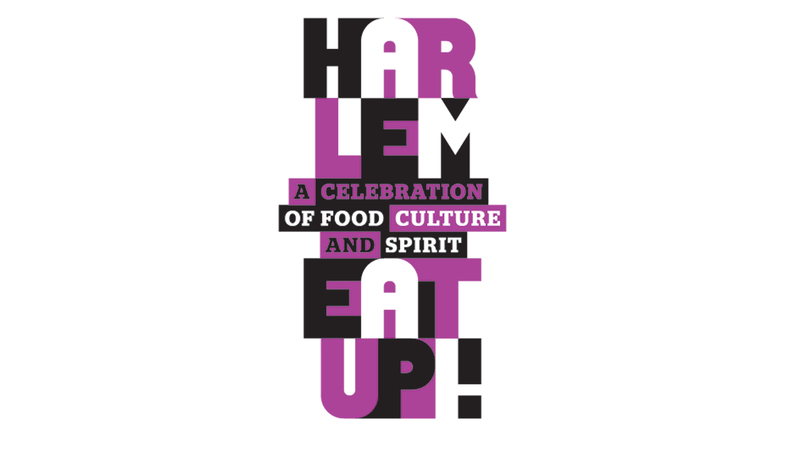 Find out more about the event, in this press release from Harlem Eatup! festival organizers. The Harlem EatUp! Festival celebrates the food, entertainment and arts that represent the spirit of Harlem while paying homage to its roots and cultural fabric. "Last year, the entire community came together to commemorate and celebrate a neighborhood I love, Harlem, at the inaugural Harlem EatUp! festival," said Harlem EatUp! Honorary Chair President Bill Clinton. "It is an honor to be a part of this festival as it continues to gain momentum into its second year. I have been coming to Harlem for more than 45 years, and my office has been here for 15 years. This festival is truly a great representation of the remarkable people and culture that make this community so vibrant." Among the restaurants participating in this year's festival are Sylvia's, Red Rooster, Melba's, Charles' Country Pan Fried Chicken, Dinosaur Bar-B-Que, The Cecil, Vinateria, BLVD Bistro, Blujeen, Row House, and so many more. right here inside of this community." direct impact on the Harlem community. "For the second year we will all come together to celebrate Harlem," said Herb Karlitz, Co-Founder of Harlem EatUp! and President of Karlitz & Company. "Last year was truly special, with so many restaurants and artists collaborating. This year we welcome even more restaurants, celebrity chefs and sponsors." Full event schedule is below. Tickets are available for purchase at www.HarlemEatUp.com. Make sure you have a seat! For one night only, an array of Harlem restaurants and chefs will host acclaimed chefs from NYC and across the country to collaborate on multi-course menus that showcase the unique feel of Harlem's landscape. Menus will be paired with wines from the Bordeaux Wine Council, and each dinner will feature dynamic Harlem artists and performers, making Dine In Harlem one of the biggest multi-room dinner parties this season. Some of these collaborative dinners include: Sylvia's, hosted by Tren'ness Woods- Black with guest chef Carla Hall; Minton's, hosted by chef Joseph "JJ" Johnson with guest chefs Alex Guarnaschelli and Michael Jenkins; Blujeen, hosted by chef Lance Knowling with guest chef Justin Smillie; Melba's, hosted by Melba Wilson with guest chef Jacques Torres; and Ginny's hosted by Marcus Samuelsson with guest chefs Nyesha Arrington and Marvin Woods, with special guest Brad Johnson and honoring Thelma Golden, Director & Chief Curator of the Studio Museum in Harlem, with the first-ever Harlem EatUp! Luminary Award. The Taste: A VIP ticketed walk-around tasting where Harlem chefs and restaurants will serve up tasty bites of their signature menu items. Enjoy tastes from more than 35 restaurants including Sylvia's, Red Rooster, Melba's, Charles' Country Pan Fried Chicken, Dinosaur Bar-B-Que, The Cecil, BLVD Bistro, Blujeen, Row House, and so many more. Sip from a wide selection of fine wines, spirits and beer as you meet fine artists and listen to music. Admission to The Taste: $80 per person (per day). Ticket includes access to unlimited food and drink, as well as access to The Market and the EatUp! Main Stage presented by Macy's on the LG Stage. The Market: Come one, come all to this family-friendly experience, where a showcase of a variety of foods, as well as fine wines, beer and other beverages will be available for purchase. The Market will also feature Harlem exhibitors who will sell their specialty food, a Kids' Zone with hands-on activities, fine artists and more. Make sure to check out the culinary demos on the EatUp! Main Stage presented by Macy's on the LG Stage featuring both Harlem and celebrity chefs. Watch Emeril Lagasse, Marcus Samuelsson, Daniel Boulud, Carla Hall, Joseph "JJ" Johnson, and more as they entertain, share new recipes and tips of the trade. Tickets are not required to enter The Market and all ages are welcome. Must be 21 years old to purchase wine and beer; must be consumed within the wine and beer garden. Citymeals-On-Wheels Citymeals on Wheels (citymeals.org) provides a continuous lifeline of nourishing meals and vital companionship to New York City's homebound elderly. Working in partnership with community-based organizations and senior centers, Citymeals prepares and delivers over 2 million weekend, holiday and emergency meals for more than 18,000 of our frail aged neighbors each year. Last year, over 15,000 individuals volunteered nearly 69,000 hours of their time. Since its founding in 1981, Citymeals has relied on the generosity of its Board of Directors, the City of New York, sponsors and other designated gifts to cover administrative costs. This ensures that 100 percent of all public donations will be used entirely for the preparation and delivery of meals. Harlem Park to Park (HP2P) is a network of entrepreneurs committed to cultural preservation, small business and community development in Central Harlem, NYC's premiere cultural, dining, shopping, lifestyle and nightlife hub north of 110th Street. Formed in September 2009, HP2P's membership is comprised of more than 130 premiere businesses located within the geographic area of Central Park North to 145th street and Morningside Park to Marcus Garvey Park. Its mission is to encourage commerce that successfully sustains small businesses; promotes the community and culture of the Village of Harlem and celebrates the neighborhood's historic CHARM. The Clinton Foundation convenes businesses, governments, NGOs, and individuals to improve global health and wellness, increase opportunity for girls and women, reduce childhood obesity, create economic opportunity and growth, and help communities address the effects of climate change. Because of our work, more than 31,000 American schools are providing kids with healthy food choices in an effort to eradicate childhood obesity; more than 105,000 farmers in Malawi, Rwanda, and Tanzania are benefiting from climate-smart agronomic training, higher yields, and increased market access; more than 33,500 tons of greenhouse gas emissions are being reduced annually across the United States; over 450,000 people have been impacted through market opportunities created by social enterprises in Latin America, the Caribbean, and Asia; through the independent Clinton Health Access Initiative, 9.9 million people in more than 70 countries have access to CHAI-negotiated prices for HIV/AIDS medications; an estimated 85 million people in the U.S. will be reached through strategic health partnerships developed across industry sectors at both the local and national level; and members of the Clinton Global Initiative community have made more than 3,400 Commitments to Action, which have improved the lives of over 430 million people in more than 180 countries.